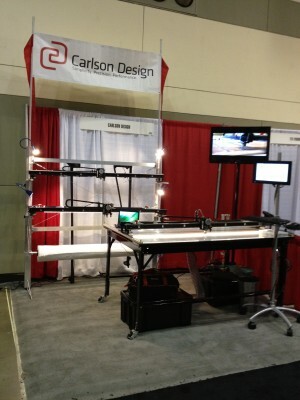 Carlson Design exhibited at IFAI in 2011 in Baltimore. 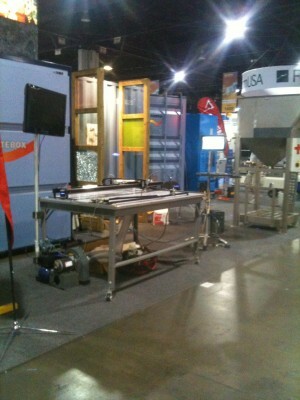 Carlson Design attends Glass Build America 2011– exhibiting with Salem Distributing. Need to preform a lot of cutting right at the job site? Advanced Insulation decided to bring their plotter/cutter to the action by creating a mobile production unit. They installed their PT-60″ plotter/cutter and 5’x32′ vacuum table in a 40′ long insulated shipping container.